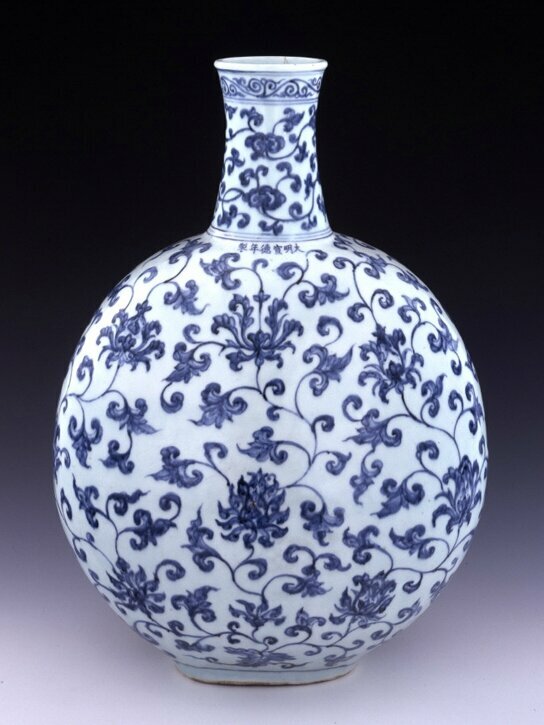 Large porcelain flask painted with underglaze blue decoration. Made in Jingdezhen, China. Ming dynasty, Xuande mark and period, 1426–1435. Gift of Sir John Addis. British Museum.